Welcome to the prefecture of Preveza, the southern part of the Epirus Riviera, to feature amazing long and sandy beaches with crystal clear blue waters, a wonderful ecosystem at the Ambracian Gulf with numerous laggons, surrounded by verdant hills and rivers, along with several archaeological sites and castles, while offering amazing views of the Ionian Sea, waits for you to explore it. 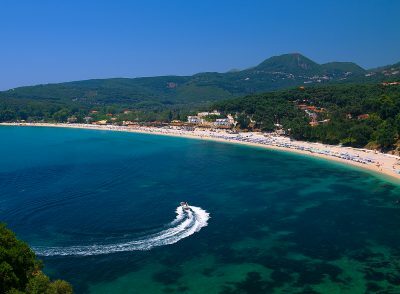 Visit the capital city of Preveza, the main harbour of the area to feel the lively part of the area or the picturesque town of Parga, a phenomenal place blessed with natural beauty along with several tourist infrastructures. 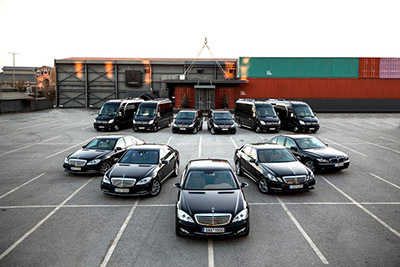 Other than the cities, the seaside villages and resorts offer a plethora of choices in terms of amusement, activities and accommodation options, with luxury hotels, spa resorts and leading hotels offering high quality of services and exceptional conference facilities to house events of various scales and nature. 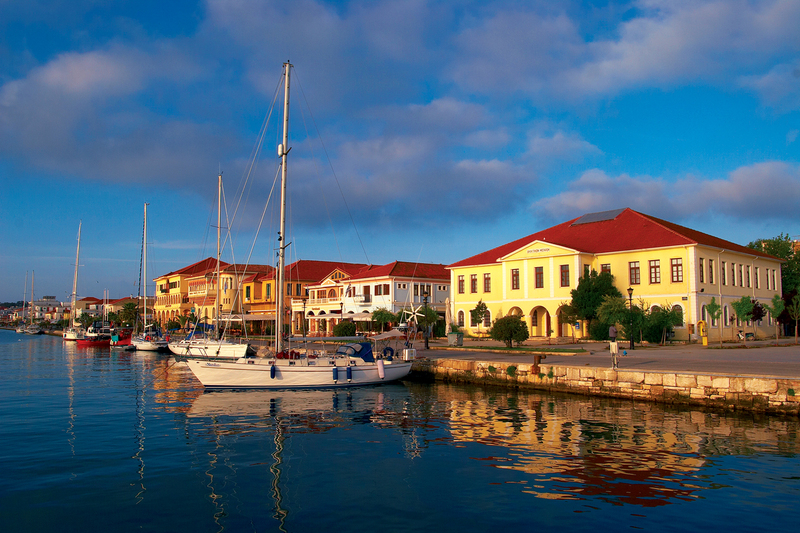 Tourists of all kinds can easily find their paradise here, as Preveza has to offer a little something for everybody. 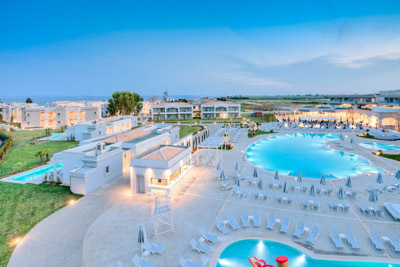 Relaxed holidays are at their best along the sandy coastline at the wonderful beaches and summer resorts to offer sea sports facilities and amenities for long days along the shore. Eco tourists also find themselves among the most unique sites of natural beauty and rich ecosystem at the local wetlands, rivers, caves, mountains and valleys, to complete a picture of utter beauty and tranquility. 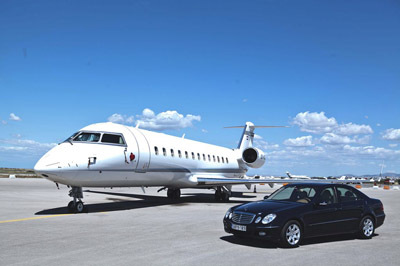 The prefecture of Preveza can be accessed either by road or air. 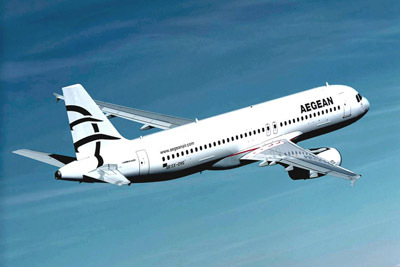 The airport of Action, connects daily with the city of Athens and has several connections with Thessaloniki. 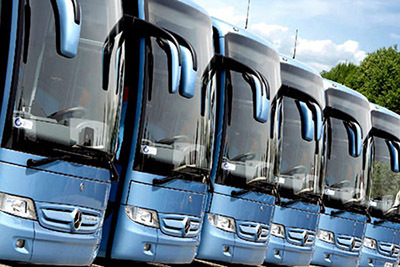 The national road links the city and the surrounding areas with Athens, Thessaloniki, Igoumenitsa and Ioannina. Because of the area’s small distance from the Ionian Islands, the port of Preveza offers several routes for those wishing to explore this part of Greece. 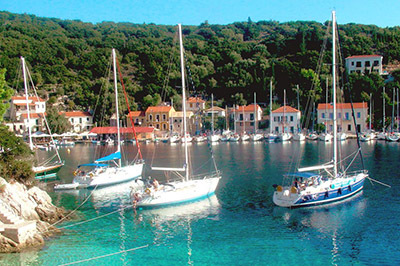 The most popular destinations of the area, other than the open to the Ionian Sea marvellous beaches, the considerable aquatic biological park of Amvrakikos gulf, the variety of the landscape, the rich vegetation and the abundant waters are the main and picturesque cities of Preveza and Parga. Preveza is the capital city of the prefecture and features cobble stone paths and alleys with fully flourished balconies give the unique atmosphere of the city. The harbour houses amazing neoclassical buildings, belfries and numerous yachts and sailing boats, an ideal setting for relaxed walks. The city is not only the commercial and cultural centre of the prefecture, but also a popular touristic resort offering all shorts of facilities to please its visitors. 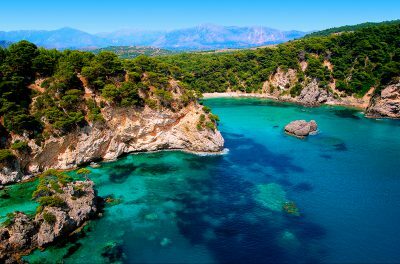 The town of Parga, with its lacy coast to create small bays, little islets and peninsulas with hilly tops, is another popular tourist destination to attract flocks of visitors also wishing to combine this visit with island hopping across the Ionian Islands. Both cities house amazing castles and historic monuments while being embraced by lovely sandy beaches reached only within a few minutes’ ride. The Actium cape hosted one of the greatest naval battles of antiquity to determine the next emperor of the Roman Empire between Mark Antony and Cleopatra or Caesar Augustus. After the victory of the latter, the Ancient City of Nicopolis was built to dominate the area for over 10 centuries till its destruction that brought to light the city of Preveza. This former major religious center and vast city nowadays embraces a number of well preserved remaining monuments such as the Roman Odeon, remains of Byzantine walls with imposing towers, theatres, temples to Poseidon and Ares, aqueducts, and baths. A few kilometres from the village of Messopotami lies the most important Necromantic Oracle of the antiquity, Necropolis. Operating as a communication mean between the living and the dead, the visitors had to go through a certain process for several days inducing, isolation, strict diet and several sacrifices, in order to start suffering from hallucinations and therefore get ready to receive the oracle’s message. Nowadays several buildings stand as well as the underground vault, which can also be explored by a boat tour. The Ancient Town of Orraon is also well worth visit, featuring a wall reinforced by square towers and some well preserved mansions with large windows. 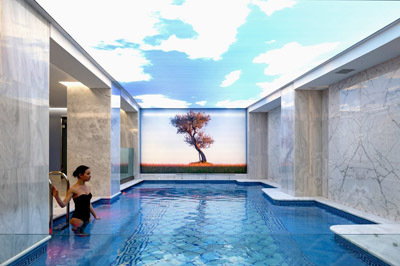 The panoramic view of the area reflects to its strategic position to inspect the majority of Arta’s land. At the historic hills of Zaloggo, where the local women and their children decided to commit suicide by jumping from the steep cliffs instead of becoming enslaved to the Turks, an impressive sculpture lies. Nearby the cliffs is the Ancient City of Kassopi, including the North Alley, the Prytaneion, the Western Alley with its Doric columns, the Katagogio a public building of the Hellenistic Period and the House northeast of Katagogio. 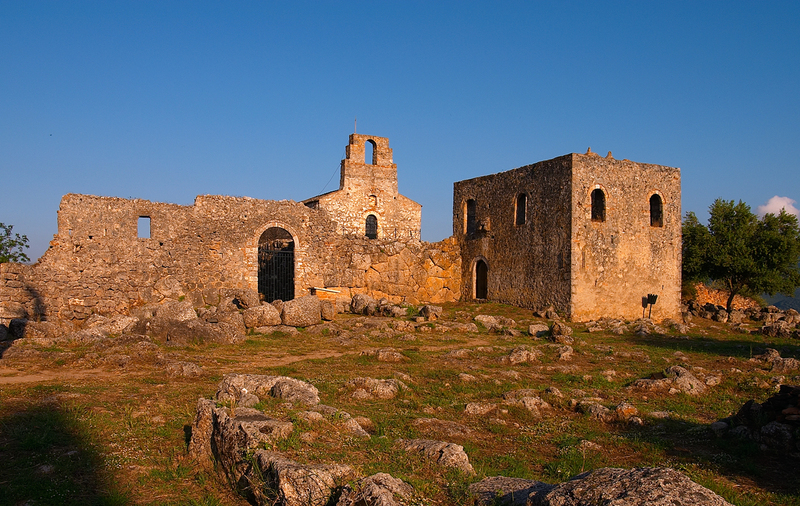 Last but not least, the area of Preveza counts a number of castles, to guard the area. Four of them hosted only at the city of Preveza being the Venetian Castle of Agios Andreas, right next to the city’s coast, and built by Ali Pasha the Bastion of Vrysoula on the north to control the Gulf of Amvrakikos, the Castle of Agios Georgios in Kyani Akti and the Castle of Pantokratoras to control the Ionian Sea. On the hill of the homonymous city is the Castle of Parga, build by Normans and reshaped by Venetians, offering an astounding view to the city’s cove and the Ionian Sea. 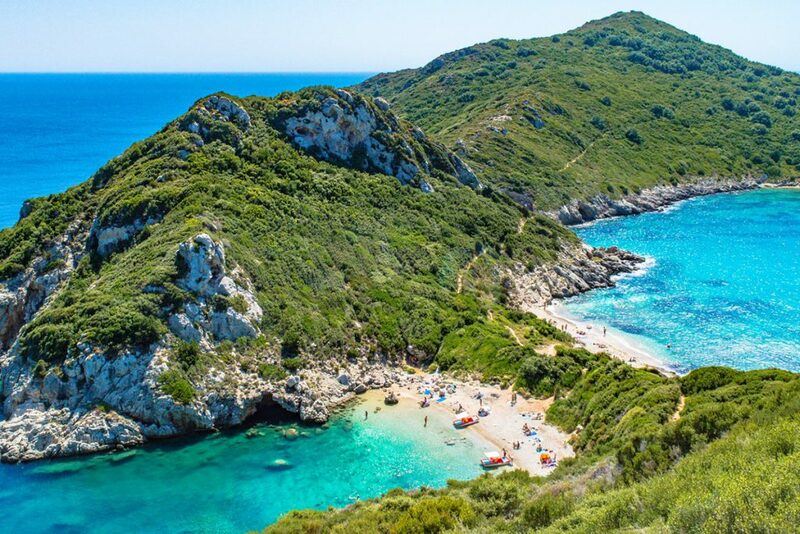 The prefecture of Preveza featuring mountains, rivers, canyons, wetlands and stunning beaches, is ideal destination not only for those who seek for fun holidays and relaxation, but also for nature lovers and sports funs. 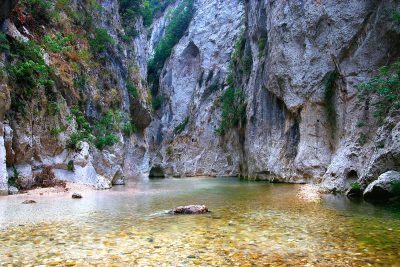 Canoe could be considered as the best way to explore the whole area, where Ziros Lake attracts large number of avid conoers who look for tranquillity and Acheronats River offers for adventurous rafters. Beaches are also ideal for kayaks where all the necessary equipment is available for rental and at the beach of Parga diving centre offers unique underwater experiences. 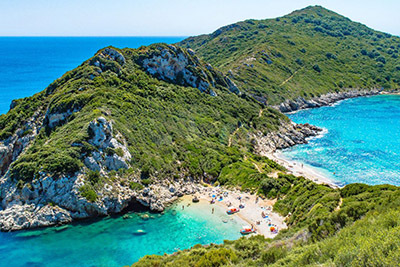 The area is also a popular destination among yachters who get the chance to explore the natural beauty of the area, during an Ionian Sea exploration. Several caves, some of which to include prehistoric findings such as the cave of Asprochalkou or the cave of Aphrodite access it by boat, are of unique beauty and importance, a real pleasure of spelunkers. 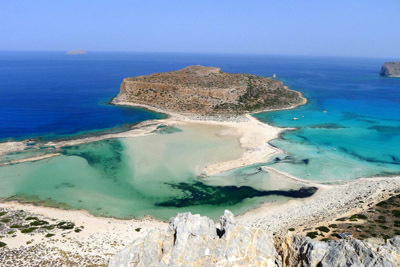 The largest wetland in Greece Amvrakikos Gulf supports a superb eco-system of birds and the largest colony of pelicans across Europe. Lake Ziros and the rivers of Acherontas and Louros also offer for bird watching throughout the year along with the flora and fauna of the area, of equal beauty as the Kalodiki marsh. Finally, the observatory of Strongyli, situated on a hill of the eponymous village features a telescope so as to observe the local species of eagles. 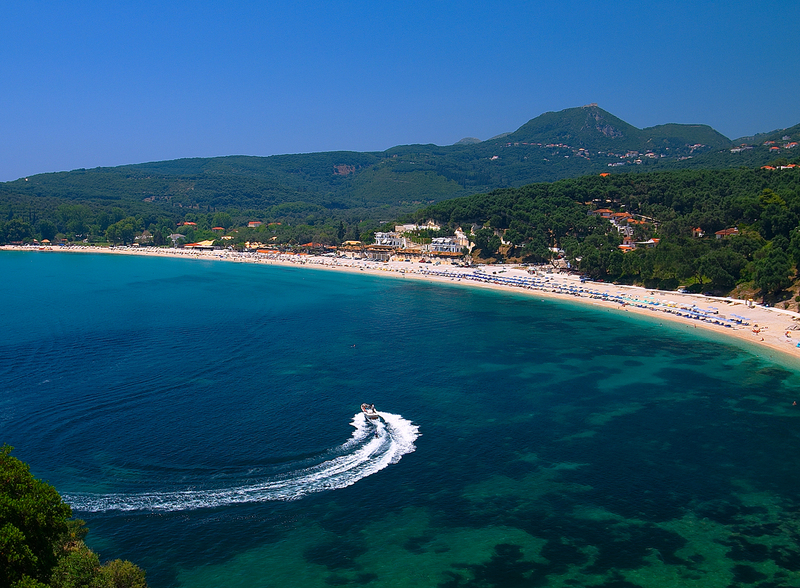 The beauty of the beaches of Preveza is rare and astonishing. 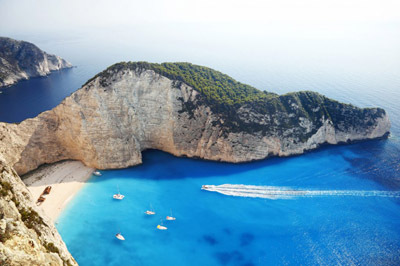 The combination of lush vegetation and emerald, crystal clear waters, deeply appeal to the visitor’s mind and heart. A long coastline of about 60km offer nothing less but sandy beaches with turquoise waters in a landscape of forests offering scenic views. 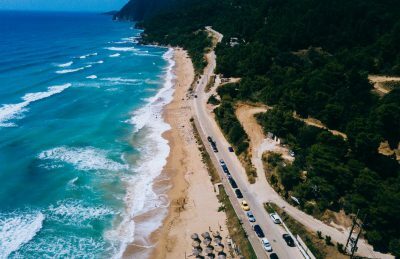 Near the city of Preveza is the popular beach of Kyani Akti, while the beaches of Lichnos, Valtos, Sarakina, Monolithi, Alonaki and Kanali are among the most marvellous ones across the area. Following the national road that passes through the whole coastline, several sea villages also with wonderful beaches such as Mytikas, Kanali, Ammoudia, Loutsa, Alonaki offer enjoyable swims along with tourist amenities. The fertile grounds of Preveza are ideal for the cultivation of several products such as olives, planted by the Venetians and citrus fruits, mainly oranges and lemons, producing large qualities of virgin olive oil, also used for the production of soap. Freshly collected and dried herbs are widely available across the touristic destinations of the area, while the seaside villages offer a large variety of fresh fish and seafood, such as Red Snapper, Sea Bream, and red mullet, shrimp and eel. The delicious hand made pies with several fillings of the area are widely known such as the onion pie called Blatsara. 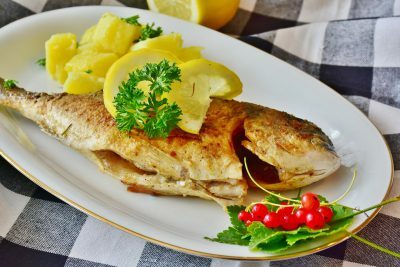 Some popular dishes served in the region include chicken with red wine sauce, bean soup, baked Red Snapper with garlic sauce and Sea Bream with celery. Above all, the local speciality is Avgotaraho, the “Caviar of the Amvrakikos Gulf” is made of dried and saltet fish roe used in various salads and dishes. Finally, several distilleries produce ouzo, tsipouro, several types of liqueurs such as cherry and koum-kouat as well as brandy. Typical Greek cooking along with international cuisines, are widely offered at the traditional taverns or restaurants across the region. Several local festivals offer plenty of free food and drinks such as the Sardine and Tsipouro Festivals while at the Valanidorrachi festival visitors can taste all the local dishes made with locally produced agricultural products.